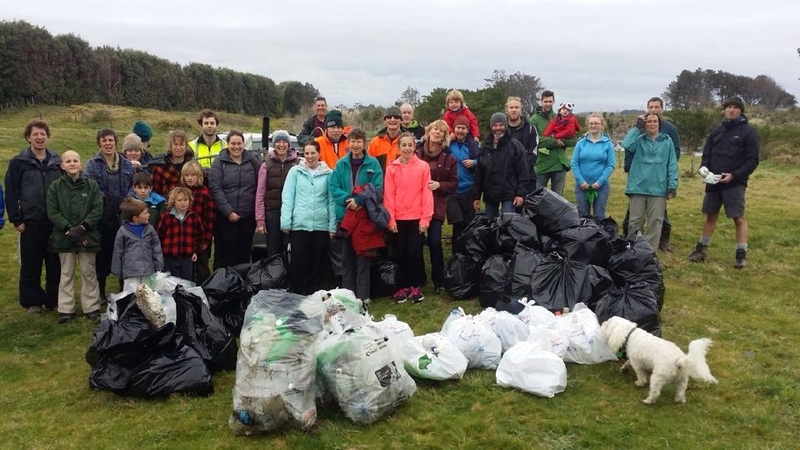 Armed with rubbish sacks and gloves, a bunch of keen volunteers set out to help clean up a small section of Taranaki coastline in July. Waitara West Marginal Strip – near the mouth of the Waiongana River – is a small, but significant area of public conservation land. The lagoon provides habitat for a large number birds, both resident and migratory. However, following a period of rough seas, a lot of rubbish had collected at the site. 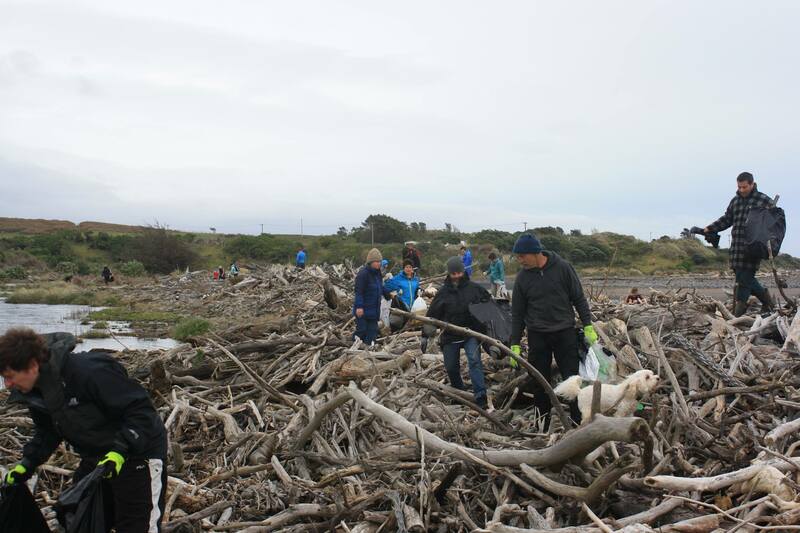 Taranaki Conservationists group organised a clean up of the site. DOC and Regional Council staff also pitched in to help. 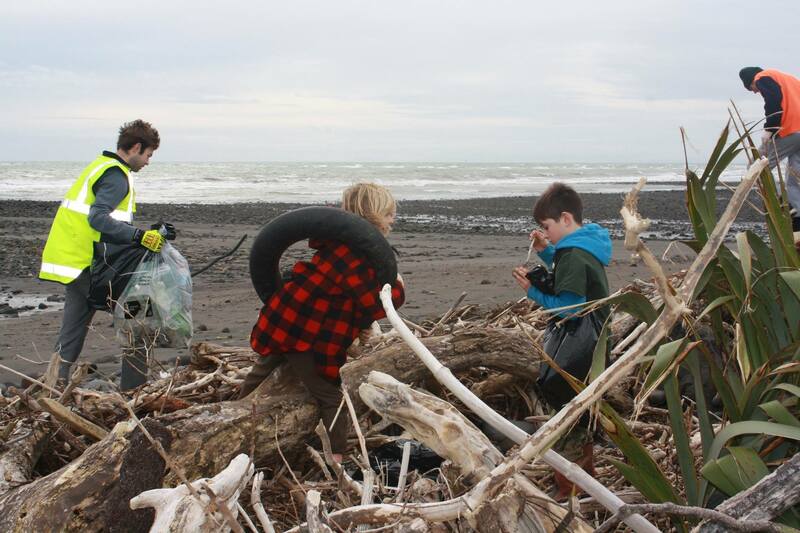 A whopping 360 kilograms of rubbish and recyclables was collected off the beach in just one morning. Plastic bottles, polystyrene, glass bottles, fishing line – and the occasional car tyre – made up the majority of the rubbish found. We separated the rubbish into recyclables and general trash. Some bags of “interesting items” will go to schools, for children to create art work with. The artwork will help promote recycling and encourage people to pick up rubbish. Rubbish can be dangerous to wildlife in many ways, so it’s important to pick it up and dispose of it appropriately. 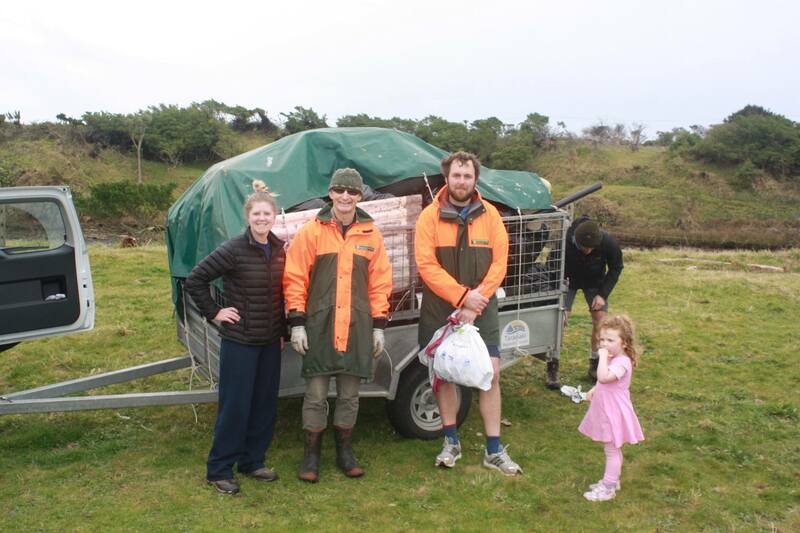 Recently, a subantarctic New Zealand fur seal was found on a Taranaki beach with rope around its neck. Luckily the seal was able to be freed from its noose. 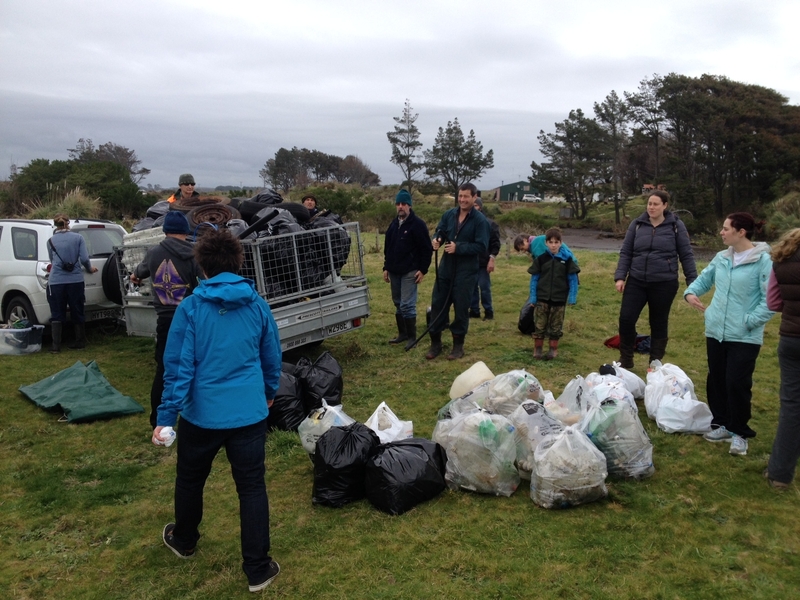 A big thank you to everyone who attended the clean up and made the day a success.